Providing complete visibility and enabling control over data center infrastructure, NetZoom™ is powered by Intel DCM for alerts, alarms and real time monitoring of power, temperature, CPU and health. NetZoom also gathers environment data from sensors and power metrics directly from intelligent PDUs. 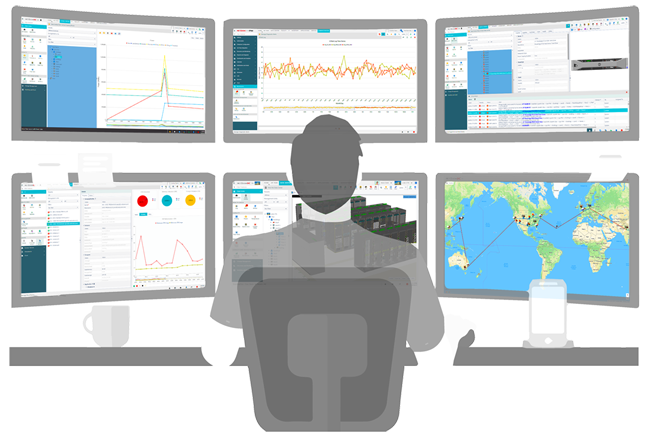 Historical analytics combined with real-time threshold-based monitoring enables a predictive and proactive approach to reduce downtime. 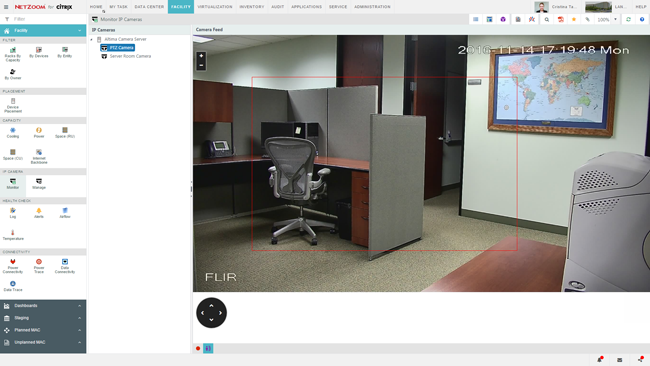 Create a Command Center to monitor critical data center information using real-time dashboards for environmental conditions, CPU utilization, device health, power consumption, other capacity metrics and physical security with IP cameras. NetZoom uses robust, agentless discovery of IPs and device metrics using standard protocols including: WMI, TCP, IPMI, SNMP, SSH, WSMAN, RDP, VNC, and Redfish. 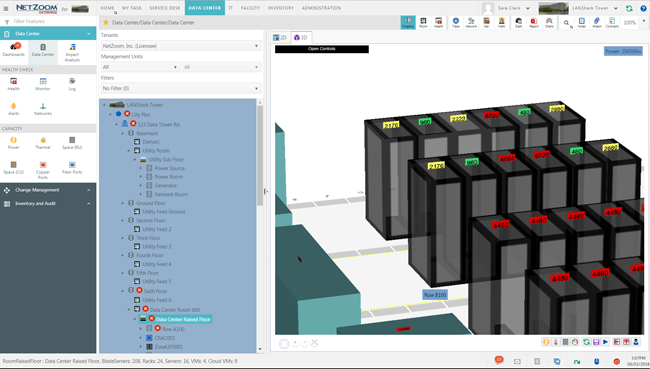 NetZoom offers threshold-based monitoring and notification for critical metrics such as Power, thermal, Weight, Space to Monitor and analyze capacity consumption data by data center site, floor, room, rack or enclosures. Threshold violations generate real-time, actionable alerts. By monitoring Temperature in real-time, NetZoom can identify and eliminate hot and cold spots, raise operating temperatures, lower power consumption and issue alerts when there is a temperature event. NetZoom monitors power of intelligent power devices and servers to get power consumption metrics for threshold monitoring, balancing power and planning Add and Moves. Power Monitoring helps identify underutilized servers and ghost servers which can be eliminated to reduce power consumption. 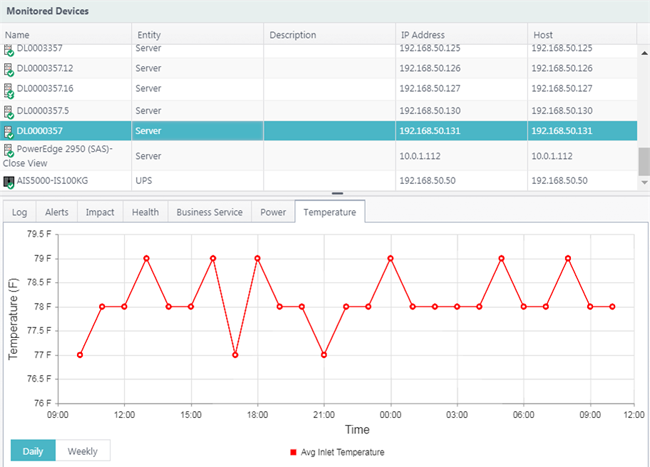 NetZoom monitors physical and virtual servers for important metrics like CPU usage, power, temperature, disk space, and memory utilization. NetZoom offers alerts with actionable information to help detect, identify, troubleshoot and better control the assets and proactively manage events before they become critical. Notifications are delivered in application, by email and by SMS and auto-escalated according to the notification policy. 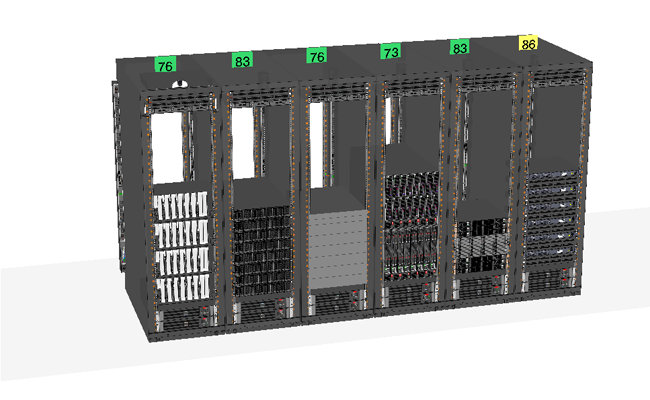 NetZoom enhances data center physical security by Monitoring the environment uses IP Cameras and sensors. Users can View live streaming and Record video from multiple cameras simultaneously.